Stop what you're doing because Nickelodeon is reviving 'Double Dare'! As many of us know, Nickelodeon has brought back our '90s childhood thanks to the nostalgia, millennial driven TV network, "The Splat." SEE ALSO: Here's what the cast of the cult classic 'Varsity Blues' looks like now! Well, just when you thought it couldn't get any better with re-runs of shows like "Rugrats" and "All That," Entertainment Weekly has exclusively learned that one of our absolute favorite Nickelodeon shows is making a comeback: "Double Dare." Yes, that "Double Dare." You remember, the show where you had to answer some questions, and crawl up the occasional nose. According to Entertainment Weekly, Nickelodeon will be bringing back the slime filled back to San Diego Comic-Con for one night this year. 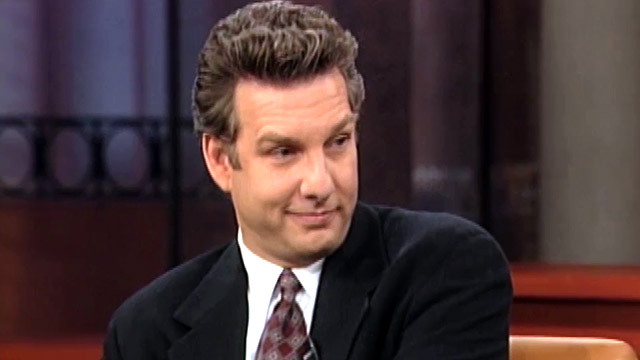 As if that wasn't already amazing news, OG host, Marc Summers will return for the first time in 16 years to host the live edition of the game. The show marks it's 30 year anniversary this October, so it's only natural "Double Dare" make a comeback. Fans at Comic-Con will be able to experience all the fun on July 22, and those who can't make it, you can check out "The Splat's" Facebook beginning at 9:30 p.m. PT. While we go and check out plane tickets for July 22, check out more '90s love in the gallery below! Remember Summer Sanders, the OG host of Nickelodeon's 'Figure it Out'?